Please signup only if your place was confirmed by the team manager. This plan allows you to make an initial payment for the first 6 months then complete the second payment for the last six months of your membership. You can pay by Paypal (recurring payment). Please select the "Sign Up" button below and complete and submit the form on the following page. Once payment successful your membership is complete and you will receive a confirmation message. Thank you for being part of Worthys YFC! Please signup only if your place was confirmed by the team manager. This plan allows you to complete your membership for the whole of next season. You can pay by Paypal or offline (bank transfer, cash or cheque). Please select the "Sign Up" button below and complete and submit the form on the following page. Once payment successful your membership is complete and you will receive a confirmation message. Thank you for being part of Worthys YFC! Please signup only if your place was confirmed by the team manager. This plan is the choice for those who have more than one player with our club. It allows you to make an initial payment for the first 6 months then complete the second payment for the last six months of your membership. You can pay by Paypal (recurring payment). Please select the "Sign Up" button below and complete and submit the form on the following page. Once payment successful your membership is complete and you will receive a confirmation message. Thank you for being part of Worthys YFC! Please signup only if your place was confirmed by the team manager. This plan is the choice for those who have more than one player with our club and pay directly for the whole season. You can pay by Paypal or offline (bank transfer, cash or cheque). Please select the "Sign Up" button below and complete and submit the form on the following page. Once payment successful your membership is complete and you will receive a confirmation message. Thank you for being part of Worthys YFC! This plan is the choice for those who would like to take part in training only. You can pay by Paypal or offline (bank transfer, cash or cheque). Please select the "Sign Up" button below and complete and submit the form on the following page. Once payment successful your membership is complete and you will receive a confirmation message. 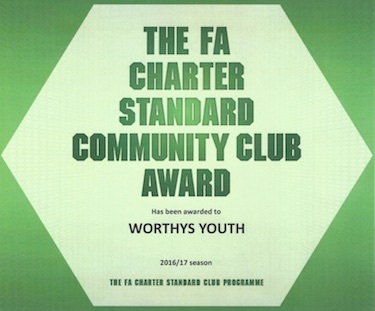 Thank you for being part of Worthys YFC!